So on Monday, the owner of the Minnesota Wild, Craig Leopold, went on Minneapolis radio station KFAN and “broke the news” that the Wild would be playing in the Central Division against the Jets, Chicago Blackhawks, Nashville Predators, Dallas Stars and possibly the Columbus Blue Jackets next year. 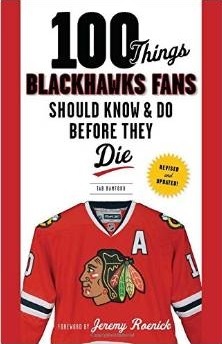 Take a deep breath, Blackhawks fans. It’s going to be alright. So he didn’t mention Detroit. Let’s all now assume that the Red Wings will be in the Eastern Conference, breaking up one of the best rivalries in all of sports, right? There are a number of issues with any rumor getting the collective underwear of Chicago into a bunch. Here are a few nuggets to remember before lighting your torches. First, the story that’s being reported has been passed around more than a Kardashian sister. TSN cites the Grand Rapids Press, who cites SBNation, who cites NBC:PHT who was covering a radio interview on KFAN. Remember playing telephone in fourth grade? Secondly, the Phoenix Coyotes are bankrupt and no longer have anyone, I repeat anyone, wanting to buy them and keep them in Arizona. Just as the NHL did this summer with the Atlanta Thrashers, they will be looking for a new home for the Coyotes for the next 11 months. If that home is somewhere like, for example, the suburbs of Toronto, it might be hard to keep them in a division with teams on the west coast. Third, the move spits in the face of tradition and history. Yes, the game evolves, but just because the Big Ten was stupid enough to put Ohio State and Michigan in separate divisions doesn’t mean the entire sports world lost their marbles. And, if they had, I’m sure Robin Williams would throw on some tights and go find them in Neverland for us. Fourth, and the biggest part of this discussion in reality, is money. There are two major East Coast media draws in the Western Conference right now: Detroit and Chicago. If NBC wants a 1 PM ET start on a Sunday, and a Western Conference team wants to be considered, where is the game going to be played? Columbus? Nashville? Dallas? No. It’s going to be Chicago or Detroit. The fact also remains that the Red Wings travel well, and put butts in the seats across the NHL better than any other team in the game (sorry, Hawks fans. We’re getting there, but let’s be honest). The Red Wings, and now the Blackhawks, are the money-driving teams in the Western Conference. If you remove one of those two and drop them into an Eastern Conference that, especially north of DC, doesn’t need any financial assistance, you’re not helping the league’s finances as a whole. Finally, let’s also remember that it was only a few weeks back that Commissioner Gary Bettman supposedly wanted to realign to four divisions. Now we’re back to six divisions, because an owner told a radio station that it was going to happen. The Board of Governors meets in December. Nothing, not a Phoenix move or realignment, can/will happen before that time. Until then, let’s all take anything that is reported with a nice big grain of salt, shall we? Actually, he was stating that the division will have 7 or 8 teams. There is audio here. Ah, silly me. See, I divided 30 by 7 and/or 8, and came up with 4 divisions. My bad!